The puffer jacket has been one of those trends that has just blown up and whilst I was never really inclined to try it out myself, when Lipsy got in touch and offered to kit me out in one of their jackets this winter I thought I'd take the plunge and go for a puffer jacket. I always size up in jackets but was a little cautious about doing so with a puffer as it already looks so oversized, all that for nothing because I did so anyway! I think it adds to the whole effect of a puffer jacket so it's a positive outcome all around! 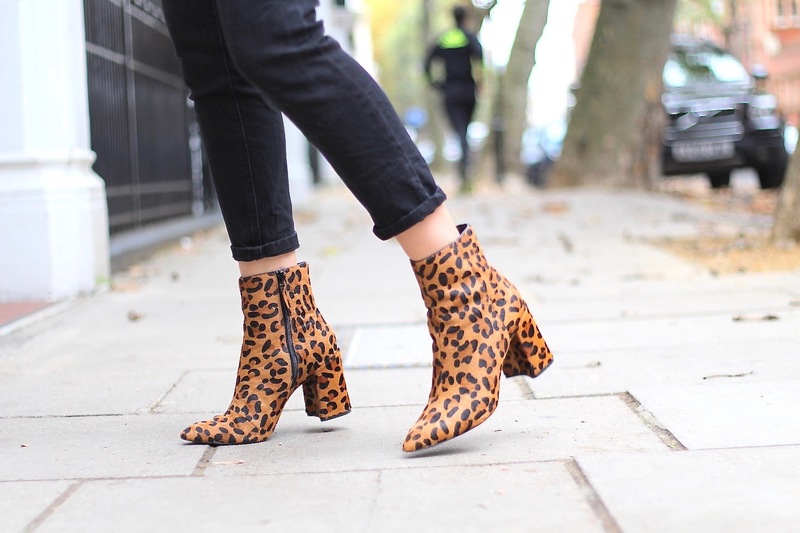 I went a little crazy with prints and colours and decided to wear my leopard print boots from Topshop because why not?! I feel like there are always some unwritten rules when it comes to mixing prints and colours but you know what? Sometimes it just doesn't matter. When experimenting with new trends I seem to always pair them with firm favourites, so a roll neck jumper was a must - this one is from Missguided - and of course a pair of Farleigh jeans from ASOS which I never seem to take off. This type of jacket really suits you! I think a red vibrant one would suit you even better though with this exact outfit! Of course, you look like a total badass as always. Love the leopard print against the lighter tones!